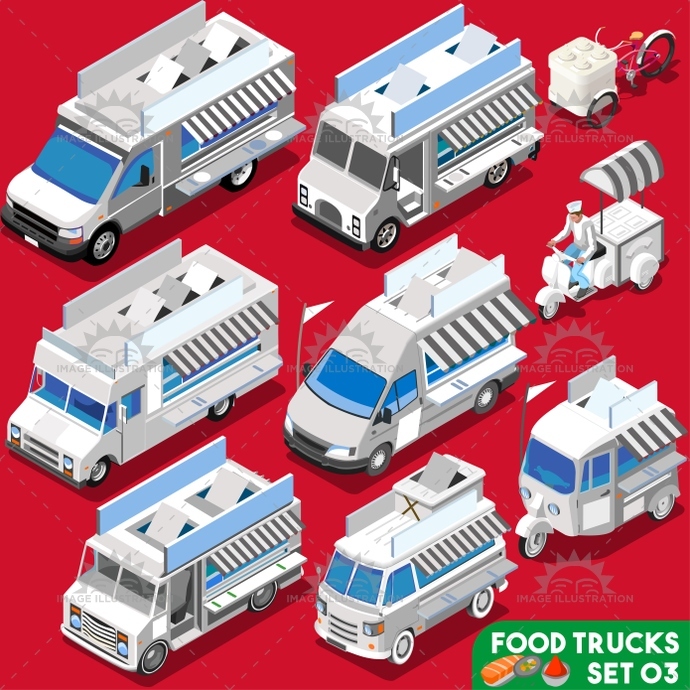 Stock product - detailed vector illustration - Isometric Vehicle Collection - Food Truck Set04 - created by Aurielaki. Image formats EPS AI JPG. SKU: Food-Truck-Set04-Vehicle-Isometric-AurielAki. Category: Food Truck Vector. Tags: advertising, american, app, away, bright, business, chef, chinese, company, delivery, diet, easy, eat, elements, flat, food, icon, illustration, industry, isolated, isometric, Job, lobster, love, master, meal, mexican, new, palette, passion, pasta, quality, restaurant, ribs, search, set, sign, street, stylish, summer, symbol, take, taste, template, truck, usa, van, vector, web.